With the shock announcement of Kevin Pietersen’s enforced retirement from international cricket, Charlie Inglefield takes a look at KP’s finest innings against Australia and wonders whether this exceptional cricketer fulfilled his incredible talent. KEVIN PIETERSEN will deservedly go down as one of England’s greatest cricketers. However, following the shock announcement this week of his forced retirement from the England team, one cannot help but feel that he has missed the opportunity to join an illustrious list, alongside Ricky Ponting, Jacques Kallis, Brian Lara and the peerless Sachin Tendulkar, as one of cricket’s modern greats. The very public process of KP’s demise continues at pace this week after the England Cricket Board’s badly thought through press announcement stating the end of Pietersen’s career – this incredibly talented cricketer will finish like he started in – a blaze of publicity. Opinion on whether KP’s enforced international retirement is the right call will continue for many months and, no doubt, years. But for now, how does England recover from a truly dreadful Ashes winter in Australia? With a T20 World Cup fast approaching, a tough series against India in the British summer, then the ODI World Cup followed soon thereafter by the Ashes (yes already) in 2015, I think the selectors have acted too quickly. More of that later. Firstly, we will concentrate on KP the cricketer; he was exceptional. What set him apart from his English team mates (ahem) was his ability to perform at his best against the best. His record against Australia and South Africa is excellent. Most of his finest performances came against the country of his birth and the country who loved to hate him. The better the bowling the better he played. We will come to his highlights against Australia in a moment but I feel his finest innings for England came when he was a couple of hours away from announcing his first enforced retirement from international cricket following the infamous text-gate scandal during the 2012 series against South Africa. He marched to the Headingly wicket and blasted 149 remarkable runs, the majority of which came via two of the best bowlers in Test cricket at the time, Dale Steyn and Morne Morkel. The faster they bowled the quicker they went to the fence. KP smashed Dale Steyn back into a delighted crowd with an effortless straight drive and everyone who was privileged enough to witness this innings knew that they were seeing a special player. Post-Headingly the rest is history and the start of KP’s eventual sacking. 1) 1st Test at Lord’s, 2005 – Kevin Pietersen hits 57 and 64 to announce himself on the international stage. It was always going to be Australia which got KP’s juices up. That vintage 2005 Australian team under the captaincy of Ricky Ponting were the best in the world so the stage was wonderfully set for Pietersen to announce himself in the Ashes as an international cricketer. Complete with a ridiculous red ‘skunk’ haircut and earrings he hit two sublime 50’s in his first Test at Lord’s, swatting his good mate Shane Warne into the stands on a couple of occasions. England lost Lord’s but the challenge had been laid down; they were not going to cop it like before and a remarkable series followed. So, KP’s contribution in his debut Test I have to include in my five greatest Kevin Pietersen innings against Australia which, sadly, we poms (and us Aussies, I must admit — Ed) can now only consign to the realms of nostalgia. My second KP classic actually goes back to before his Test debut. The 20/20 format of the game was just beginning to take off and England clearly stated their intentions to hit Australia as hard as they could earlier in that wonderful summer. Pietersen lead the way with a thunderous 34 off 18 balls as England set an imposing total that Australia never got close to as they were skittled out for 79. My third classic KP moment — some would argue his greatest – was his unbelievable 158 to guide England to a draw and so a first Ashes win since 1987. His innings came when England were choking desperately in sight of that elusive Ashes series win. They were four down for not very much when he came to the wicket. The manner of his innings under extreme pressure, counter attacking at will against the best bowling attack in the game, was just breath-taking and ultimately history-making. 5) Kevin Pietersen smashes the Australian attack all over the Adelaide Oval for 227 in 2010. My last two highlights of KP at his swashbuckling best against the Aussies were both at the Adelaide Oval. He made 158 in the disastrous 2006 series, making a bowling line-up consisting of Shane Warne and Glenn McGrath look mere mortals. Four years later he repeated the dose, carting a struggling attack, sans McGrath and Warne, all over the ground. These were two examples of KP totally at ease with his ability and providing a batting master class. One could write a book about Kevin Pietersen and no doubt his good friend Piers Morgan will do so soon enough, such is the PR baggage that KP has around him. The most frustrating element about KP’s enforced retirement is that he was given a second chance in 2012 post the Strauss/texting saga. He was extremely lucky to have that opportunity through Andy Flower and Alistair Cook and therefore critics of his sacking now have to realize that KP was walking on thin ice. The bottom line is if the dressing room wants a player out then there is not much you can do to dissuade the selection committee. I however agree with the likes of Michael Vaughan and Alec Stewart that Paul Downton, James Whittaker and Alistair Cook should have waited until they found a new coach. There have been plenty of enigmas who have represented England with aplomb in the past — Flintoff and Botham come to mind – but they generally went on to have continued success at international level and retire on their own terms. I was hoping that the new England hierarchy could keep KP on until the end of the 2015 Ashes series and then he could retire into the 20/20 sunset. What a shame it has ended this way but we cannot be too surprised; KP was never going to retire quietly. 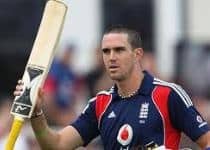 Without a question, Kevin Pietersen was one of the greatest players of the modern cricketing generation but a talent that could have delivered more.